I still remember the first time I heard Down Rodeo by Rage Against The Machine. It was the summer of 1996. I was in a pub I shouldn’t have been in in Croydon and the DJ put on Down Rodeo, which considering Bulls on Parade was the big track off Evil Empire, well, it was a change. I hadn’t bought the album yet, but hearing Tom Morello’s opening riff, the biting vocals, the mood of the song and the anger of Zac’s call to arms in the class war. Now, I’m a middle class Times/Telegraph reader, therefore totally what this song is railing against, but, it’s an incredible track, even more so when I heard it live at the Finsbury Park gig in June 2010. On a sunny day, windows down, it’s the perfect driving song. So when Alfa Romeo (my utterly favourite car company, my heart still breaks at having had to sell Monica, my 147 Selespeed) popped up on Twitter throwing open a competition asking what your favourite driving song was, it was a no brainer, I replied with Down Rodeo. Alfa Romeo is all about design. The cars are beautiful, outrageous at times and often copied by companies with lesser design atheistic (see every car since Alfa’s 156 that has hidden their rear door handles, for example). So they approached Marshall Amps to pimp a MiTo and Harrison Guitars to build an Alfa guitar. For me, it was always the grill that makes an Alfa for me, that chrome, that shape, it is perfect. Don’t get me started on the noise of an Alfa V6 or Twin Spark, or the way it feels bombing down a B Road knowing that the thing will stick to the road. Luckily, I had a fantastic mechanic. Needless to say, as I’m writing this, I won. 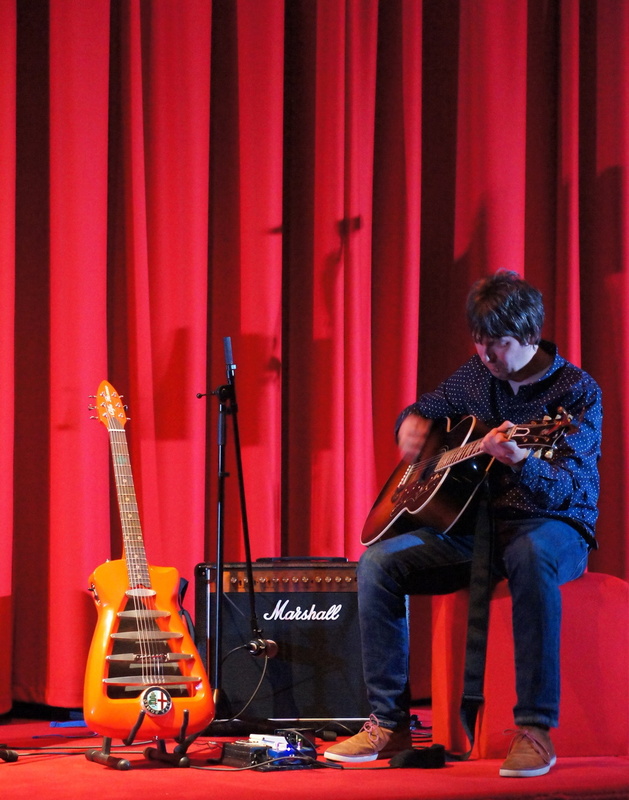 Into the auditorium we went, ushered into the second row and comfy seats, we were confronted on the stage by the Harrison Alfa Romeo guitar. It is stunning. I can’t play a single note but, as a work of art, it would look great, if utterly wasted, on the wall next to my Jagger signed Strat copy. No sooner than our cocktails finished, Chris Kimsey, engineer/producer for the likes of the Rolling Stones and The Cult and also an Olympic Studios old boy, gave an introduction that ran through what Olympic was and is and read a note from Peter Frampton about the studio. 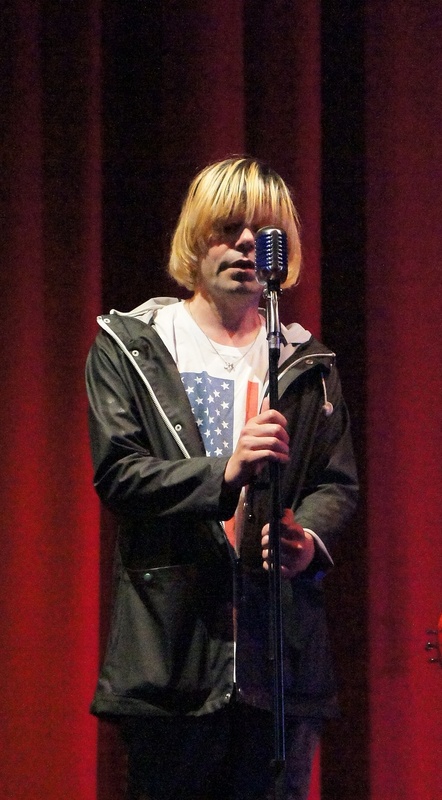 Our appetites for music whetted, out came Tim Burgess and Mark Collins of The Charlatans. Confession time; and I hope I didn’t say this as loud as I think I might have, but I did express my shock at how “they’ve gotten old”. The woman sat next to me found that hilarious and I suddenly remembered it’s not the middle nineties anymore and none of us are young… Needless to say, the five song set Tim and Mark played was great, ending with North Country Boy and a loud, appreciative ovation. The Harrison Alfa sounded as good as it looked. Selfishly, I’d kill to let my mate Stevie Ears lose on that instrument, it would wail. Finally we got to Dave Grohl’s Sound City. Sound City is a documentary charting the rise and fall of the Sound City Studio in Van Nuys L.A. and the Neve 8078 mixing board that channelled some of the greatest music of the last 40 years. I’m not going to go on about the film, it is a very good music documentary, if spending too much time fawning over one or two people at the end, but the sound was special. It was my first experience of Dolby’s new Atmos system. While the film wasn’t mixed in Atmos, having 64 speakers blasting out the best of Fleetwood Mac and Nirvana is a rather impressive experience. All in all, a rather fun evening and great to have discovered the Olympic Cinema, as it’s on my way home from work; I think it will be my destination of choice for fresh releases. Only thing is, I miss my Alfa. Note - So the pictures below are the ones I took on the night, a bit of noise due to still getting used to the new camera. Hopefully not too bad, I hope.